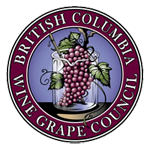 The BCWI’s role is to champion the interests of the British Columbia wine industry through marketing, communications and advocacy of its products and experiences to all stakeholders. All of the province’s VQA wine stores fall under the umbrella of the BCWI. Membership is voluntary, and all winery members pay annual dues based on VQA wine sold in British Columbia.